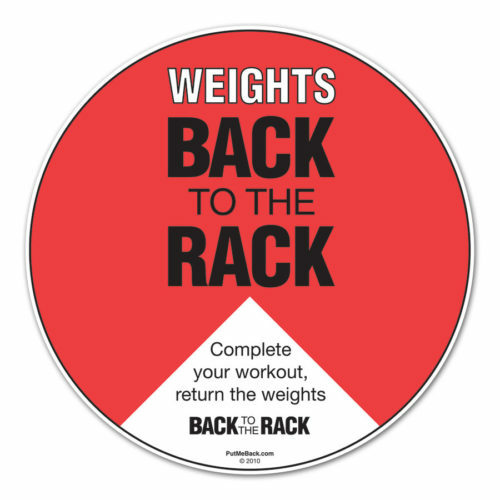 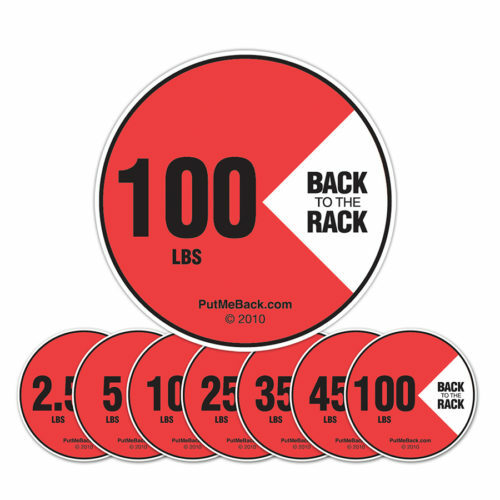 Apply 1 sticker to each end of the Dumbbell rack. 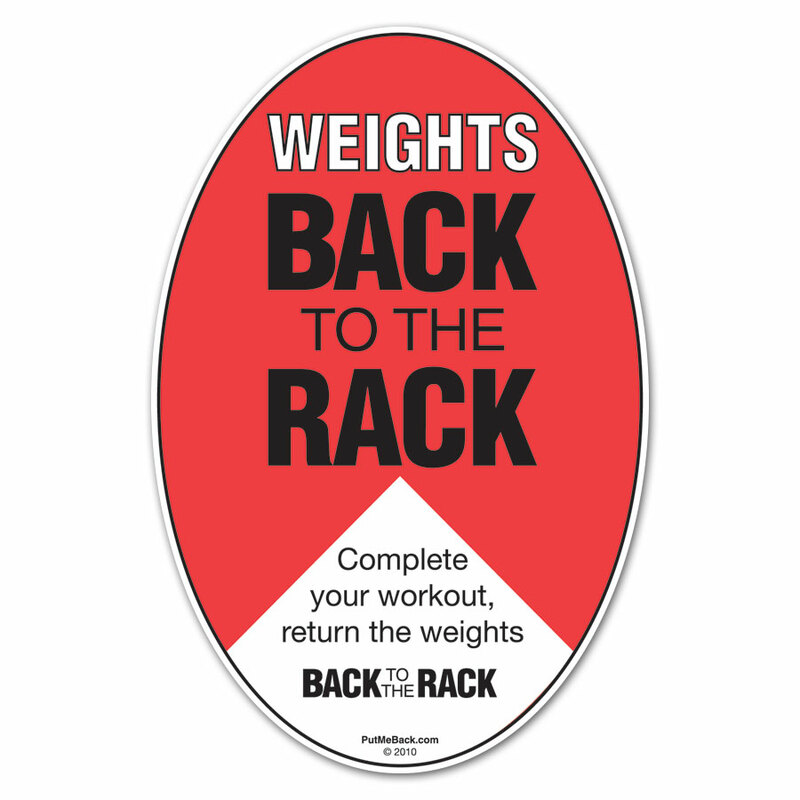 Also apply to squat racks, smith bars and any other free weight machines. 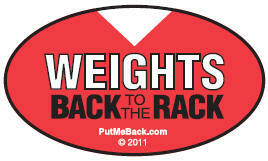 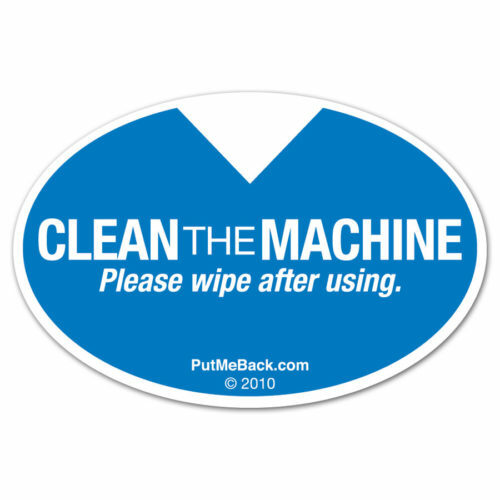 Purpose: Apply 1 sticker to each end of the Dumbbell rack. 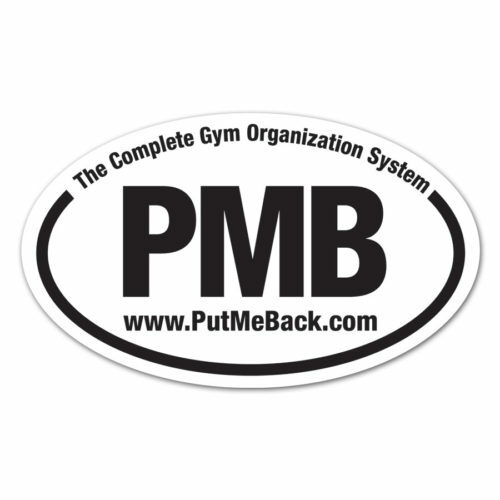 Also apply to Squat racks, Smith bars and any other free weight machines or mirror.